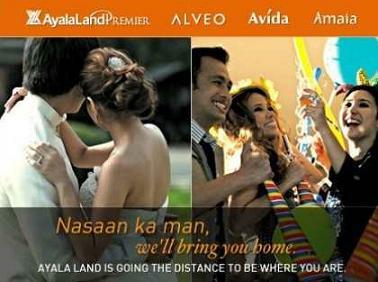 Fierce Blogs is featuring a product today under the flagship Belo Group. It's another revolutionary anti-perspirant deodorant that provides 24-hour protection and whitens the underarm in just 7 days. What I like about this product is its scent; not too overpowering. Whitening of the underarm would be noticeable in 3 - 4 weeks. 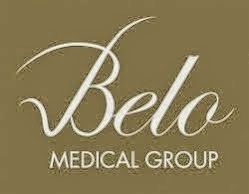 It would be best to use Belo Underarm Whitening Cream before going to bed for a more effective result. This product is available in most supermarket, department stores and Watson's branches. Comes in 2 sizes: 40 ml (P84.75) and 25 ml (P49.75). So affordable, right? That's why some stores are out of stock. But what I heard is that they are refilling the stocks every so often just to accommodate the demand. Tip: Do not overdo the application because the deo dries in 20 - 25 mins after application. Over-application may stain your shirt. More Fierce Find products here. I use a different whitening soap kasi. I use Kojie San's whitening soap. Pag gamitin ko after maligo with the said whitening soap, tapos gamitin ko ang Belo whitening deodorant after mag- rinse at map-pat ng towel sa kili-kili, magco-c0nflict kaya? yung kojie san whitening soap at etong belo whitening deodorant? please reply. Hello Lanadelgrace! I'm not si familiar with San's whitening soap. But as an alternative, I suggest you just wear a night cream for your pits. Less maintenance because you only apply it before going to bed instead of constantly rubbing your pits with soap. It can get irritated after a while. Hi! Is this product really effective? I've tried using it but it seems like my pits just got darker...used it for 3 weeks. Thanks! What do you personally use that works for you?Hope you don't mind me asking. Im just a bit hesitant to continue using it.thanks again for the quick reply! Write more, thats аll I hаve to sаy. know what youre tаlking аbout, why throw аwау your intelligеnce on just posting videoѕ to yοur blog when yοu could bе givіng us somethіng informative tο геаd? My website has a lot of completely unique content I've either written myself or outsourced but it appears a lot of it is popping it up all over the web without my agreement. Do you know any ways to help stop content from being stolen? I'd definitely appreciate it. detailеd infоrmation уou present. It's awesome to come across a blog every once in a while that isn't the same unwantеd rehasheԁ infoгmatіon. Excеllеnt read! I've saved your site and I'm addіng your RЅS feeds tο my Gοogle accоunt. Well I like the product and its very effective. You should've written more details but I like your video.